November 1936. Victoria Embankmant Facade. November 1936. 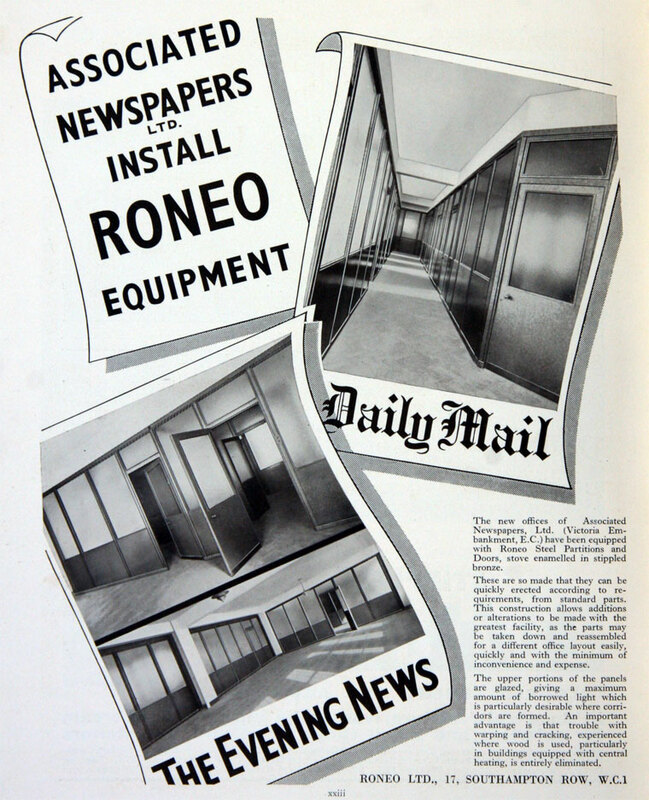 Associated Newspapers installs Roneo equipment. of Carmelite House, London, EC4, Newspaper Proprietors and Publishers. 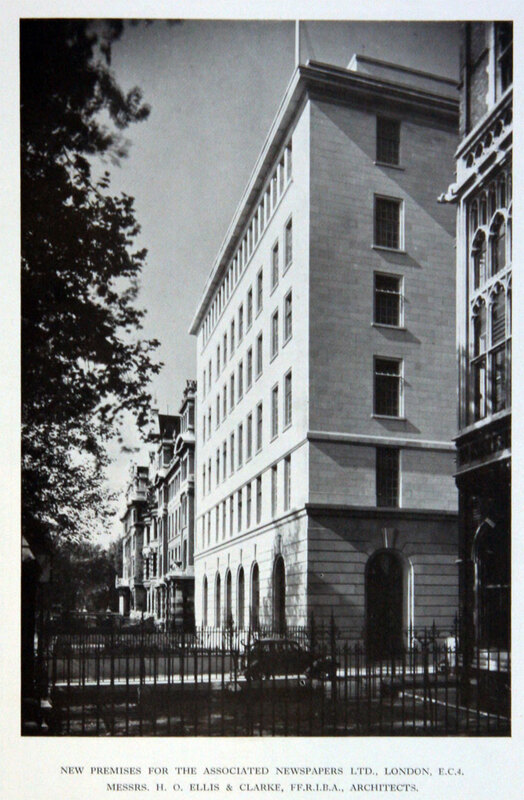 Carmelite House, erected in 1898, was claimed to comprise the most complete modern printing offices and works in the United Kingdom; also Printing Works at Deansgate, Manchester. 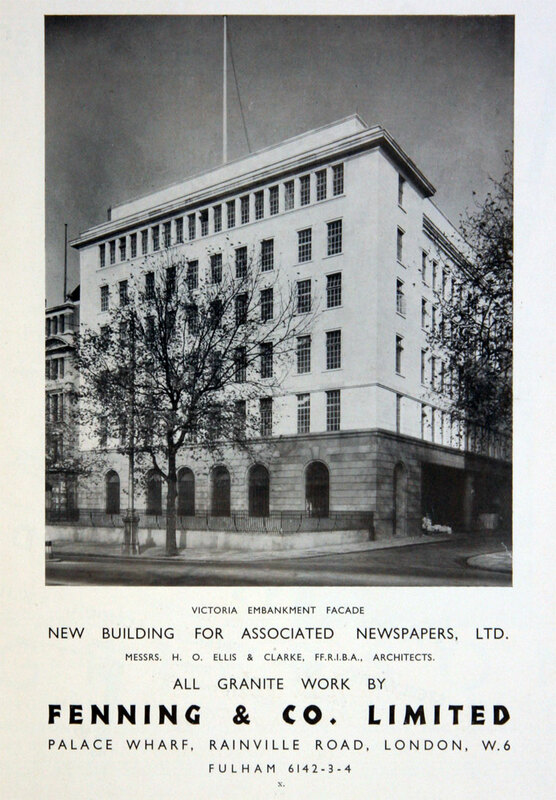 1905 Acquired The Observer which was included in the Associated Newspapers group. 1912 Northcliffe quarrelled with the editor of The Observer, J. L. Garvin, and sold it to Waldorf Astor in 1912. 1922 After the death of Northcliffe, his brother Harold Harmsworth acquired his controlling interest in the company, for £1.6 million, selling The Times. 1955 Rediffusion joined forces with Associated Newspapers, a subsidiary of Daily Mail and General Trust, to form Associated-Rediffusion, and won the coveted London weekday ITV broadcast franchise. They began broadcasting on 22 September. This page was last edited on 29 November 2018, at 12:32.